HOLLYWOOD—Alex Trebek was among the notable celebrities that introduced films at the four-day TCM Classic Film Festival in Hollywood. The longtime “Jeopardy!” host was on hand Tuesday at the American Legion Theatre at Post 43, an iconic venue where Clark Cable, Gene Autry, John Wayne, Mickey Rooney, Stan Lee and other legends of the silver screen once were members. Trebek, who has a long association with TCM including guest-hosting aboard TCM cruises, noted that he often runs into very knowledgable passengers while aboard those classic movie-themed events. He said one fan came up to him once and pointed out that he had all of the Criterion Collection of films, which, as Trebek noted, is more than 3,000 films. 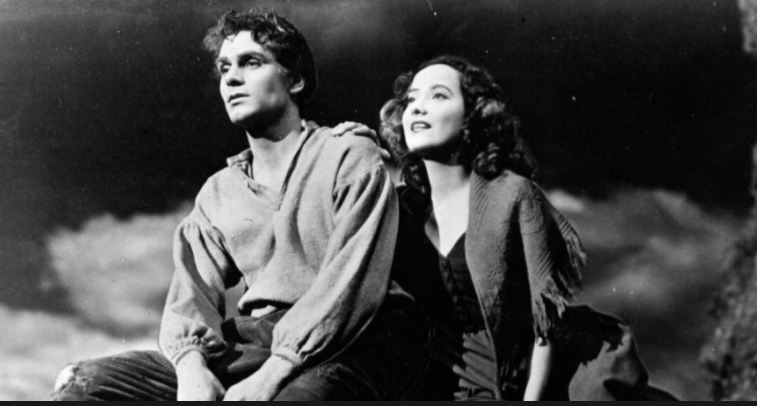 He was on-hand Saturday to introduce the 1939 big screen adaptation of Emily Bronte’s “Wuthering Heights,” starring Laurence Olivier and Merle Oberon. The film came out “a year before I was born,” he noted, so he never saw it during its initial run. He told the attendees at the screen that the film is one of his favorites as the main characters–Heathcliff and Cathy—reminded him of he and his wife, Jean. Next Post‘Replicas,’ ‘Glass,’ More Available on Home Entertainment … Plus a Giveaway!!! ‘Murder,’ ‘Sing,’ ‘Brokenwood’ and More on Home Entertainment … plus giveaways!